The State Commission on Judicial Performance recommends that Judge JoAnn L. Vogt BE RETAINED. Judge Vogt was appointed to the Colorado Court of Appeals in 1997. Prior to that, she was in private practice, 1987-1997, after serving as a law clerk to Chief Justice Joseph R. Quinn, 1986-1987. She received her JD from the University of Denver in 1986. 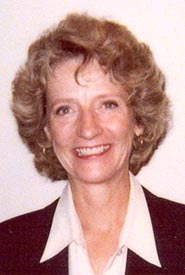 Prior to her legal career, she was a college German teacher at several universities and colleges, 1968-1982, and had earned her BA degree at the University of Nebraska followed by a Fulbright Scholarship at the University of Hamburg in Germany, and thereafter as a Woodrow Wilson Fellow and earned her MA and Ph.D. in Germanic Language and Literature from the University of Chicago. Judge Vogt has served as an officer and director of the Legal Aid Society of Metro Denver and is currently serving on the Colorado Bar Association Pro Bono Task Force, which encourages attorneys to participate in programs that provide free legal services to indigents. She also serves on the 2000 Judicial Conference Committee, which coordinates training for judges statewide. She enjoys educating school children and other members of the community about the Colorado Judicial System. The vote to retain Judge Vogt was not unanimous. The majority was favorably impressed with her performance as a member of the Court of Appeals. While noting that she performs satisfactorily, a minority had a concern about her lack of experience in the law prior to being appointed to the Appellate Court. Seventy-one percent (71%) of attorneys and court personnel voted to retain Judge Vogt, 5% voted not to retain and 24% had no opinion. Sixty-nine percent (69%) of trial court judges voted to retain Judge Vogt, 0% voted not to retain, and 31% had no opinion.